Birthdays are special occasions specially when it is your wife’s birthday, you want to make it special with lots of surprises and gifts. By sending gifts to your wife make the day a memorable affair for her and convey all your love to her no matter how far you are from her. Any opportunity you get to make your wife happy should not be wasted and make the most of it. With this article we are discussing with you the best unique gifts to send to your wife on her birthday to India. 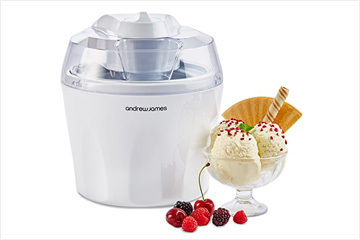 Ice Cream Maker - A rare gift for your wife will be a ice cream maker machine, so whenever she feels like having a ice cream she can have it in her own house with her own recipe. And every person is a ice cream lover, if your wife receives it as a birthday gift it will truly an amazing experience for her. 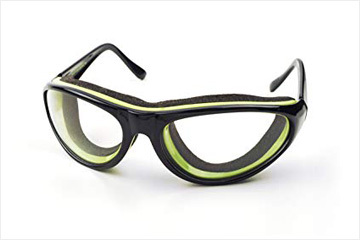 Onion Goggles - Another unique birthday gift idea for your wife is to send her no tear onion goggles so she can work in kitchen especially when chopping onion without any difficulty. A thoughtful gift for your wife’s lovely eyes. 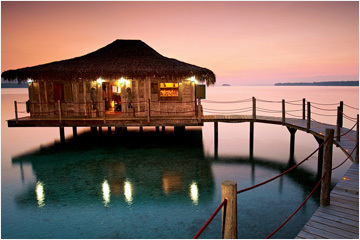 Romantic Getaway - Surprise your wife on her birthday with a romantic vacation to a new place where she has not been too and surprise her more by joining her in the vacation. It will be a perfect birthday gift for her as she will not only enjoy the vacation but also spend quality time with you. Flowers & Teddy Bear - If your wife is in her 30’s - 40’s you can pamper her and make her feel like a kid again by sending her beautiful flower arrangements and adorable teddy bear. A giant teddy bear will be a very good idea to go with a premium flower arrangements. Cosmetic Box - Your wife uses a lot of personal care and makeup products then sending her a cosmetic box to let her keep all her essentials in an organised way. All her makeup and personal care belongings will be in one place, easily reachable and will look neat and organised as well. If you are planning to spend your wife’s birthday in an unique way we hope that our gifting suggestion will be of use for you.